Laad Bazaar is located in Hyderabad right next to the historic Charminar. Situated on one of the four main roads that of the Charminar, it is sited in a very old area of Hyderabad, the capital of Andhra Pradesh. “Laad” is a term in Hindi and Urdu meaning “to love” or “to pamper” and a more fitting name would be hard to confer upon the bazaar. Another local folklore is that the market’s original name was “Lord’s Bazaar” and the current name is an altered form of this. There are a number of stores selling articles primarily targeted towards women on this one-kilometer long stretch. 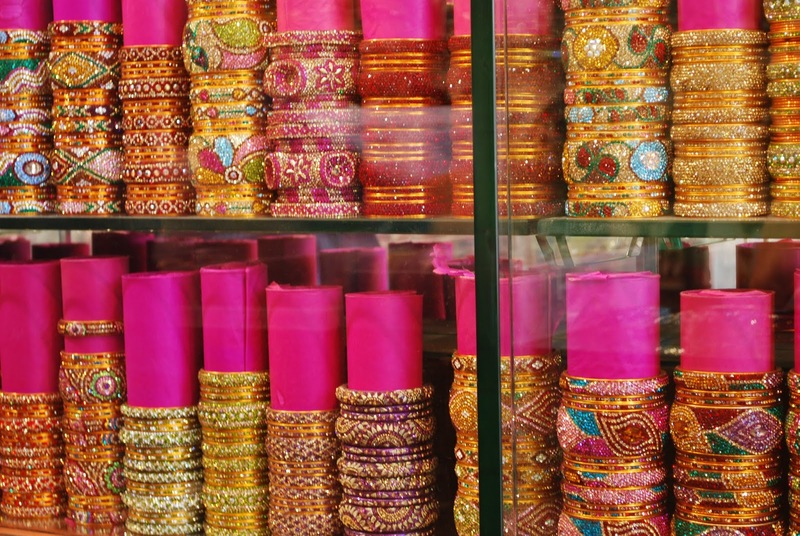 A vast and colorful collection of stores selling stuff usually intended for women like gorgeous bangles, semi-precious stones, pearls, saris and other such items are located in the Laad Bazaar. Usually shopkeepers set exaggerated prices, but they do so in expectation of the bargaining known to take place in the bazaar. One can strike a good deal if the art and tactics of bargaining are known, as prices are rather subjective. Usually one reduces about 20-30% of the price tagged by the shopkeeper. He may seem very adamant at first, but if you persuade him a bit, you may get good stuff at decent prices. 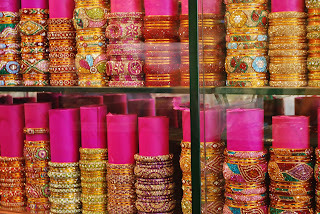 The most popular items sold over here are the colorful bangles and glistening pearls. It may seem strange at the first glance, but most shops make their customers sit on the floor, which is carpeted from wall to wall. Since the stores are cramped, they utilize every inch of space available. The Laad Bazaar is located in a small lane that offshoots from the historic monument Charminar. Since the lane is narrow, cabs, cars and autos are not allowed inside. It is best to explore the bazaar on foot. You may also take the manually driven rickshaws available there which is a different experience in itself.